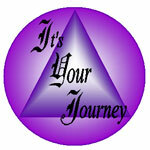 I am very happy to be going back to Its' Your Journey in Huron, OH! I have had the pleasure of working with Nancy and Susan both at their shop and at Great Conjunction Events and their energy and creative products are always a joy to be around. You can join me for a morning of readings from 10-2 followed by my workshop Anything You Can Breathe Through, You Can Live Through. Readings will be $35 for 15 minutes and $60 for half an hour. Contact It's Your Journey at 419-433-0888 to schedule.